I had a balanced 27oz. Dudley Lightning an it hit great. But it broke in half round 70 swings. I only hit senior ball. Dudley said it wasn't a bat defect. but they were saying you would get around 1500 to 2000 swings out of it. well you can do the math nowhere close to even 1500. but I guess a lesson learned our team was ready to buy a couple for each player. but I think we will stay with Miken,Reebok. I'M 63 YEARS OLD AND LET ME TELL YOU THAT I HIT MY 1ST 2 HR'S IN OVER 5 YEARS! ABSOLUTELY LOVE THIS LIGHTNING! I HEARD IT WAS NICE AND IT'S BETTER THAN THAT!! I GOT IT FOR $185 WITH FREE SHIPPING! 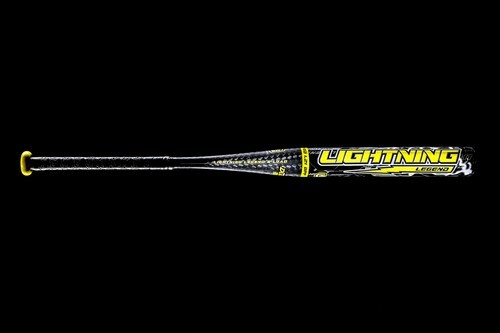 OUR TEAM 50'S HAVE BEEN USING ULTRA 2'S FOR 6+ YEARS AND NEVER HAVE WE EVER HIT BALLS FURTHER. WE HAVE OVER 1000 HITS ON 5 OF THESE AND NO CRACKS YET!!!! LOVE IT LOVE IT LOVE IT! !